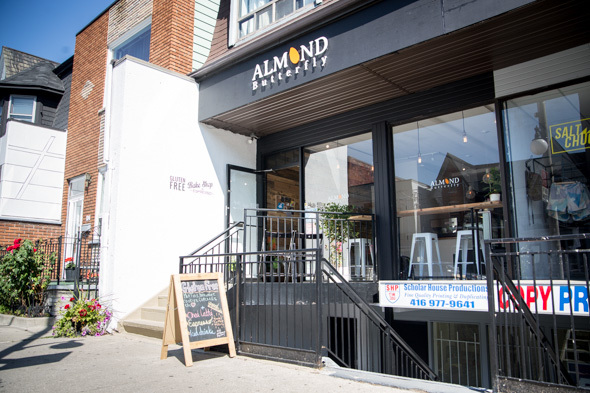 Almond Butterfly is only about two weeks old, but it already feels like it's settled in on Harbord as a local neighbourhood staple. 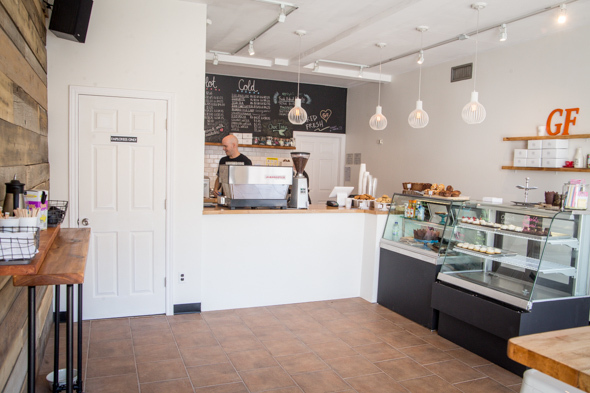 On the day I visit, a steady stream of customers come in and out to buy coffee and gluten-free baked goods, and it doesn't let up. Owner/baker/barista Melody Saari taught herself how to bake sans gluten because she herself can't eat the protein. She's been a cook, baker and mixologist in Montreal, and her experience in the industry shows. Before she and her partner David decided to move back here to their hometown to open up their first brick-and-mortar business, their private kitchen in Montreal was supplying baked goods to five cafes in the city. 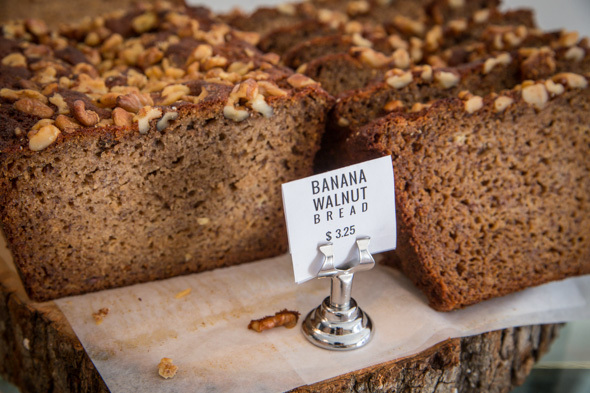 Among their most popular items so far are the caramel pecan brownies ($3.75 each) and the banana walnut bread ($3.25). I tried the latter and it was moist, strong in banana flavour and packed with walnuts. I also dug in to some of their cupcakes ($3.50 each, no tax for six or more), and was so impressed with the flavours that I didn't miss the gluten. The vegan Chocolate Espresso uses the same freshly ground beans as the espresso the shop serves - a custom blend from Social Coffee & Tea Company . 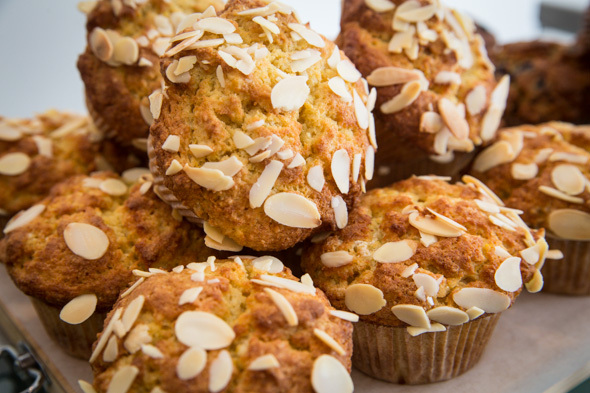 The signature Almond Butterfly cupcake has a delightful and distinct almond flavour, and like everything else I try, is super moist and light. 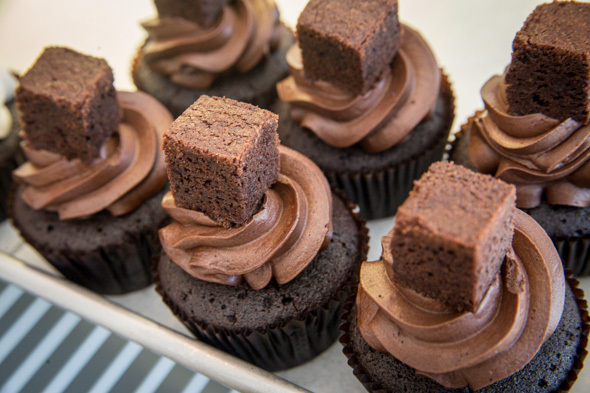 Saari has a rotating roster of 15 to 18 cupcake flavours up her sleeve and is constantly coming up with new ones. She plans to have six to nine different flavours for sale each day. A changing selection of cookies, muffins and squares are also on offer ($1.75-4.25), with many dairy-free. 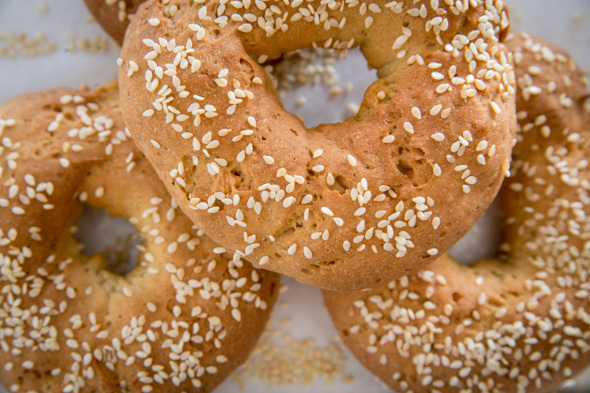 Gluten-free New York-style bagels are also being introduced, with butter ($3) or cream cheese ($3.25). 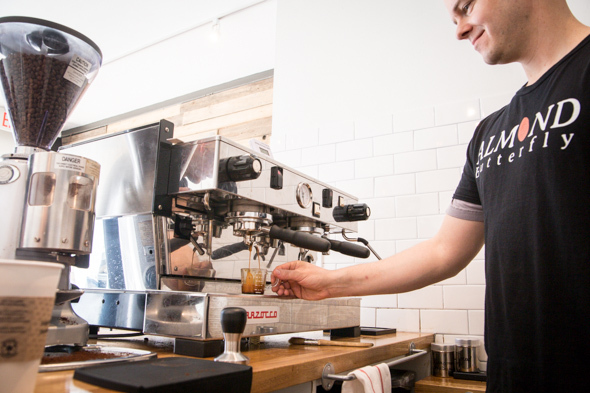 With its bright, modern decor (Edison lightbulbs hanging from the ceiling, wood and white brick accents) and four stools lined up across the front window for looking out onto the street, it's easy to see this bakeshop/espresso bar becoming a Harbord Village hangout. Writing by Christina Cheung. Photos by Jesse Milns.